With tasty local cuisine, breathtaking stunning beaches, a wide range of exciting activities and friendly locals, our Vietnam Fascinating Family Holiday will bring you happy time together with those you love. We will swim, go kayaking and taste the fresh seafood in the magnificent Halong Bay, get many joyful moments in amusement park in Nha Trang, maybe take a dip at beautiful beaches, and explore the unique floating life in Mekong Delta. With so much to share and do together, your family will always remember the great time together. After relaxation, our guide will take you walk to the theatre and we will enjoy Water Puppet Show – A traditional art performance of Vietnam. After that, you will be transfered by private car to ga local restaurant to enjoy welcome dinner. Then back to your hotel by car. Overnight in Hanoi. 08.00 AM: Our driver will pick you up at the hotel, departing 3.5 hours to Halong Bay – the World Natural Heritage recognized by UNESCO. Upon arrival, embark the cruise and enjoy welcome drink while having tour briefing. A sumptuous lunch will be served on board while the ship sailing further to the Bay, make your time to admire its dramatic limestone islands. On this second cruise date, early birds are welcome to attend sunrise Tai Chi class on the sun deck to get your energy levels up for today’s adventures. After having breakfast with freshly fruit juices and local dishes, we will board on the day cruise boat, gather with other cruise passengers who join in the 3 days 2 nights cruise program. Continue discovering Halong Bay in the off-the-beaten-track areas; admire the majestic landscapes, be deep in the sea for swimming, enjoy kayaking, and so much more. You leave the boat around 12:00 at noon, depending on the availability of time after disembarking, our driver will take you back to Hanoi. At a scheduled time: Your private car will pick you up at your hotel lobby to head to Noi Bai Airport in Hanoi for a short flight to Nha Trang Beach City. Upon arrival at Cam Ranh Airport, a private vehicle will be waiting for you for the 50 minute drive to your hotel in Nha Trang to check in and relax. Overnight in Nha Trang. Today you will be free at your leisure. At 08h00am: our car and guide will pick you up at the lobby of your hotel in Nha Trang city. Take a speedboat to Mun Island. Hon Mot is one of the attractive islands in Nha Trang bay. It is a spot for snorkeling and escaping from Nha Trang. Have a look Tam Island. Tam Island is famous with its green tropical forest throughout 4 seasons and the long white sandy coastline. This is a lake on the sea with hundreds of special marine creatures. Relax and enjoy lunch at a Con Se Tre restaurant. This is a waterfront restaurant located in the Bamboo Island. While enjoying Vietnamese seafood, Tourists can contemplate the beautiful sights of Nha Trang City. The tour ends at about 15h00-16h00. Back to the pier by speed boat and be transfered to your hotel by private car. Then free time to relax. Free on your own. Stay overnight in Nha Trang. You are free at your leisure until the flight to Ho Chi Minh City in the morning. Welcome on arrival and start discovering the charm of Ho Chi Minh City. Pay a visit to the War Remnant Museum, the former Presidential Palace, the Notre Dame Cathedral (Exterior) and the French-style Post Office. Lunch in a local restaurant will give you the chance to taste traditional food of southern Vietnam. Dinner on your own. Overnight in Ho Chi Minh City. One more thing to do in this trip is biking ! It will be so amazing to bike on village paths to see the local farms, houses, real life and the ancestral ways to pick up fruits in Mekong Delta. Cooking some dishes with the owners. We enjoy diner and have cup of tea or rice wine. Also, you can ask the locals about the culture, people, history of this Island. They do not mind to answer some personal questions. The program will start with a visit of Vinh Long market in the town. This is the best choice for you to take pictures of fish, shrimps, prawns, crabs, snakes, rice-field rats, tropical fruits, vegetables... Mekong Travel boat will take you to have lunch at a local house. After lunch, we come to visit the brick kilns where you can see how the local people create beautiful potteries from clay. Then, visit of the local workshops to see how to make rice paper, coconut candy, pop-rice... Enjoy some sweets with a cup of hot tea. Then, we’ll walk to check in at Út Trinh / Út Quỳnh / Út Bình homestay. Have a fresh shower before cooking some special dishes with the members of local family. We’ll enjoy dinner at homestay. Overnight in a private room with AC at the local house. 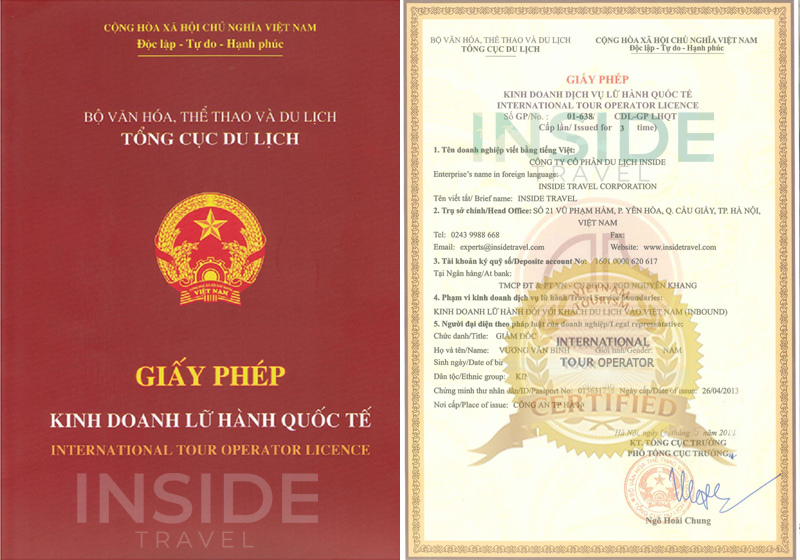 The cruise will end at Cai Be town and the private car will transfer you back to Ho Chi Minh city. Lunch en-route at a local restaurant. Stay overnight in Ho Chi Minh city.